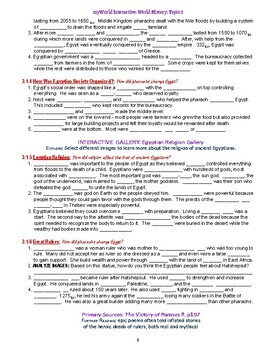 In one PDF file you will receive a student Study Guide to use for closely reading the text book, Topic 3 Ancient Egypt and Kush. Students tell me, "I can't just look for answers, I have to actually read it!" 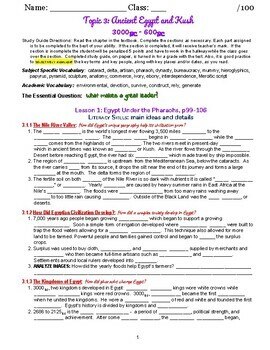 Also included is the teacher's answer key. As a warm up or review there is a vocabulary crossword puzzle with word bank (spaces and hyphens removed) using words from the Topic. Continue to hone geography skills with a Topic 3 specific map activity.